After many heated moments, Chima Simone was expelled from Big Brother by the producers for breaking multiple rules. Early this morning, the live feedswent to fish for about 90 minutes. When the live feeds returned, it was apparent that Chima is no longer a part of Big Brother 11. We don’t know all of the details of why she was forced to leave, but we do know that at one point she threw her microphone in the backyard and was getting worked up at the cameras. If you have the live feeds, Flashback to August 15th at 2am on the Quad camera to watch the reactions from the houseguests. If you don’t have the live feeds, be sure to sign up for your free trial right here to Flashback and watch this incident. If youre only watching the episodes on CBS, youre missing half the story. With Chima gone, many events have transpired in the house since then. 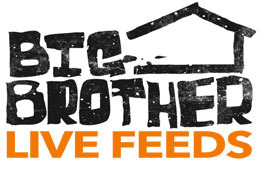 Sign up for the live feeds right here, then click here to watch some of the arguments that you wont see on the TV episodes! After your 3-day free trial, its only $39.99 for the Big Brother 11 season!